You can't discuss Linux-PC gaming without discussing Steam. Steam is a digital distribution service that is well known among the gaming community. I have looked around the all around the web for info on steam Linux client and I noticed no one talks about it that much. 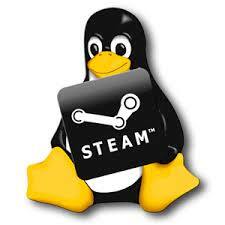 More than 3,000 Linux games are now available on Steam. With Steam installed on your computer, installing games is simple. Any Steam game with Linux support should run on steam Linux client. Open the app, use the Search feature in the top-right or simply browse for a game you want. On the games, page check the system requirements. Look for the Tux logo, the Linux penguin, as an indicator that the game can be installed. If a game isn’t available in Linux, then Steam will inform you. How long it takes to install a game depends largely on your Internet connection speed, with larger titles take a really long time to download and install. The cool thing about Steam is Big Picture mode. Big Picture mode is a big user interface, which optimizes the Steam display to work on high-definition televisions. I was able to control Steam with my Xbox 360 gamepad on my 37intch HDTV. Big picture mode is gamepad friendly. Gamepad support includes but not limited to XBox 360, Xbox One, and Generic X-Input controller configurator support, as well as support for third-party PlayStation 4 controllers like those from MadCatz, Armor, HORI along with the Steam Controller. Before getting you started with Steam on your GNU+Linux device, meets the minimum hardware requirements published by Steam developers Valve. Steam requires an Internet connection for digital delivery, the faster the better, and the latest graphics driver. It wasn't very hard or expensive to build the Steam Box A or B. It is more of a case of know-exactly-what-you-are-doing. You don't want to get the wrong parts for the build because it can cost you more than it should. You just have to do decent research. My Steam Box A or B build had me gaming on my HDTV at a fraction of the cost of pre-built Steam Machines. With the official steam client, I have been playing big powerhouse games, like Middle-earth: Shadow of Mordor and Borderlands: The Pre-Sequel on GNU+Linux without any issues.They all ran without any headaches, Knights of the Old Republic II, Life is Strange, and Torchlight II all run great. But have to think about your graphics card choice. It really does matters more on Linux desktop than on Windows desktop. AMD drivers have gotten better recently, and they are open largely source, but Nvidia's proprietary driver is still better in the world of GNU+Linux. RECOMMENDED: Nvidia 1000 series graphics cards for Steam Linux gaming.